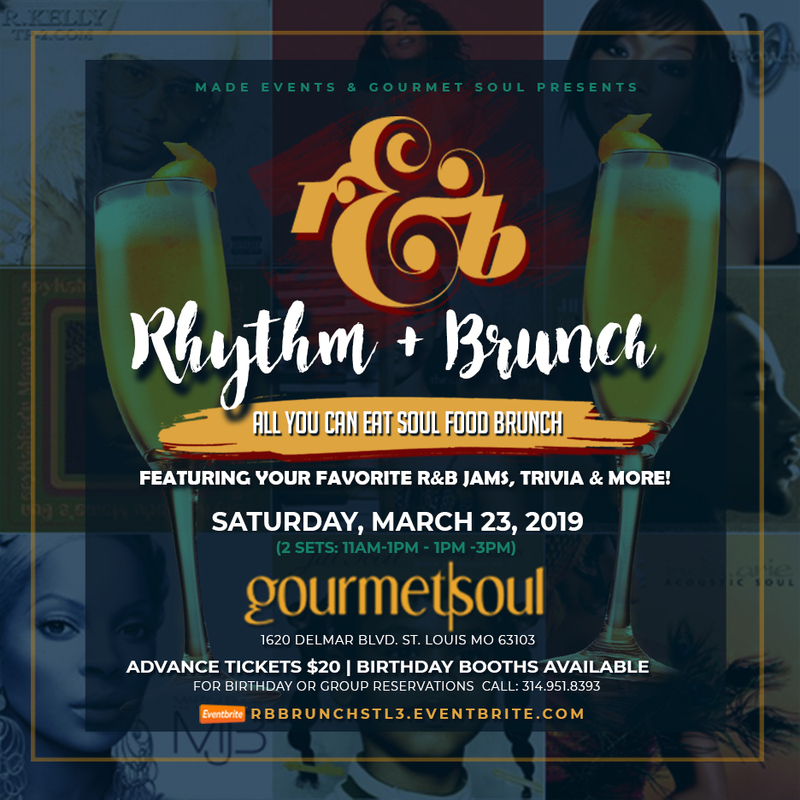 ST. LOUIS JOIN US SATURDAY MARCH 23, 2019 FOR "RHYTHM & BRUNCH"A SOUL FOOD BRUNCH FEATURING ALL YOUR FAVORITE R&B JAMS TRIVIA & MORE! 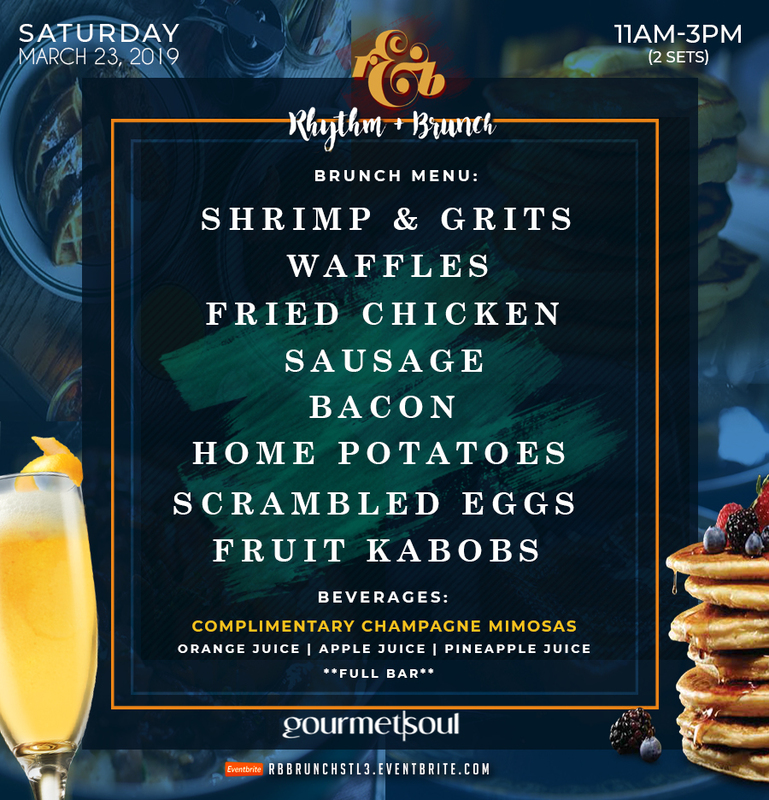 COME ENJOY AN AMAZING BRUNCH BUFFET IN A RELAXED & FUN ATMOSPHERE WHILE LISTENING TO SOME OF YOUR FAVORITE R&B!! Friday Night Speed Dating | Singles Event in St. Louis | Seen on VH1 & NBC! Friday Night Speed Dating in St. Louis | Singles Event | Seen on NBC & BravoTV! Saturday Night Speed Dating in St. Louis | Singles Event | Seen on BravoTV! St. Louis Speed Dating | Friday Night | Singles Events | As Seen on BravoTV! Speed Dating in St. Louis | Friday Night | Singles Event | Seen on NBC!